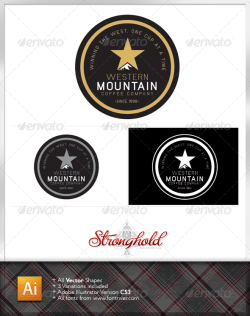 Stronghold Branding: Western Style Powerpoint Presentation Template About: Here is a great western styled powerpoint presentation template!…make .. 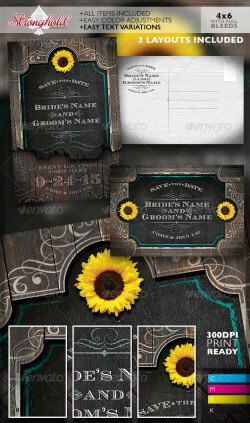 Stronghold Branding: Western Save The Date Wedding Flyer Template About: Here’s a fun item that can be used in a number of ways… from .. 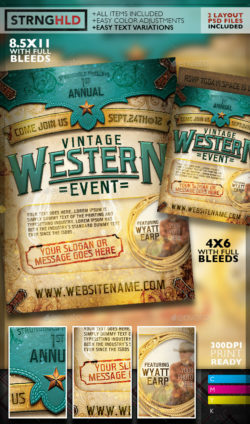 INCLUDED : + ONE – ADOBE ILLUSTRATOR CS3 FILE + ONE – ADOBE PHOTOSHOP CS3 FILE (BOTH LAYOUT FILES ARE 300DPI OR BETTER AND CLEARY LAYERED ..
Western Magazine Template: + SIZE A4 + 9 UNIQUE PAGE LAYOUTS + EASY TO USE PICTURE BOXES AND TEXT BLOCKS + ALL FILES PRINT READY WITH BLEED ..
About: Here is a clean vintage styled circular crest, that would go great for a number of ventures…not just coffee…Have fun! 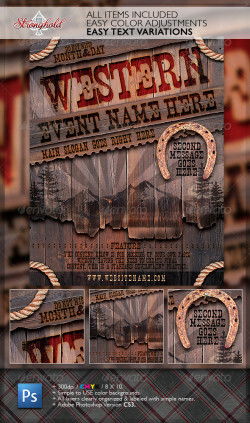 Fonts: ..
About: Here is another installment in the Wild West series…Have a ranch event or western party coming up? get prepared today! INCLUDED .. Here is all you will ever need to promote, create, and or even just rework your western event or brand. Don’t miss out the chance to get a HUGE ..
About: Here is another installment in the Wild West series…Have a ranch event or western need for great exposure over it’s own facebook ..